Hanoi (VNA) – Businesses must change their thought about the supply chain and methods to organise it for meeting increasingly stringent standards of import markets, a representative of the Business Association of High-Quality Vietnamese Goods has said. The association held a workshop on May 23 to help enterprises gain an insight into regulations and standards in countries importing Vietnam’s agricultural products. She said each step in the supply chain must have a standard to prevent risks. Meanwhile, both farmers and processors must also strictly comply with the production process. The business association has established a new set of criteria for high-quality Vietnamese goods so as to help producers satisfy importers’ requirements, she noted. Hanh also urged state management agencies to make new regulations to assist Vietnamese firms in meeting import countries’ standards. Nguyen Kim Thanh, a specialist in supply chains and food safety, said European markets require food safety and the farm-to-table chain, as well as producers’ responsibility, to be ensured. 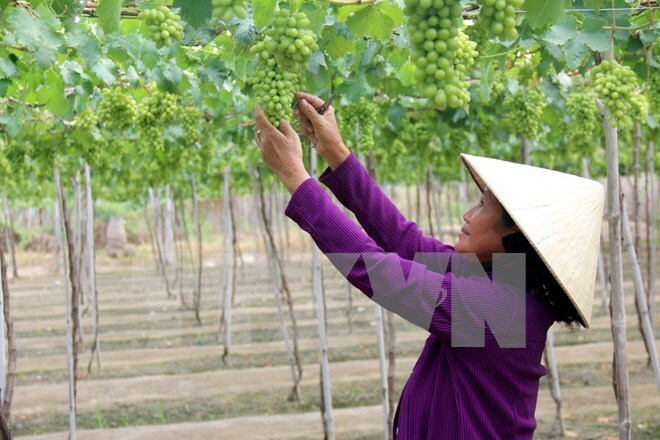 Dao Duc Huan from the Institute for Policy and Strategy for Agriculture and Rural Development said numerous opportunities and challenges will appear for Vietnamese products during the integration process.